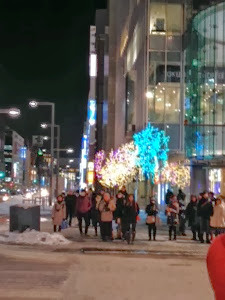 It's been a while since I last posted so apologies. 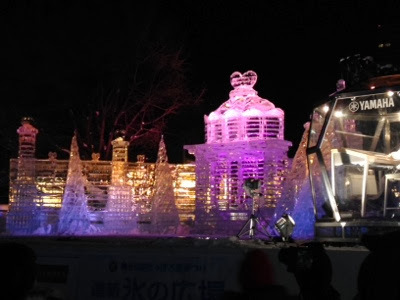 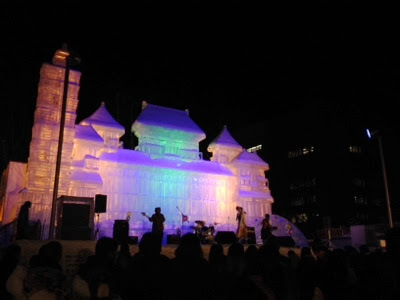 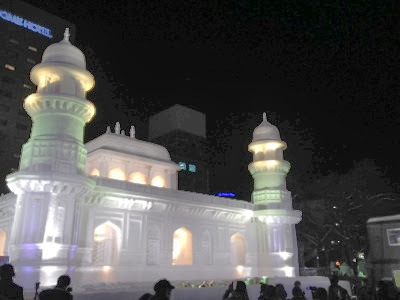 This year's snow festival at Odori Park. 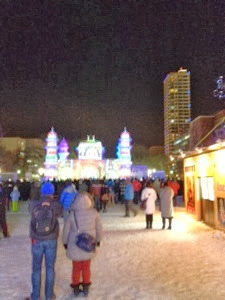 A very cold night but worthwhile, many locals and tourists out enjoying themselves. 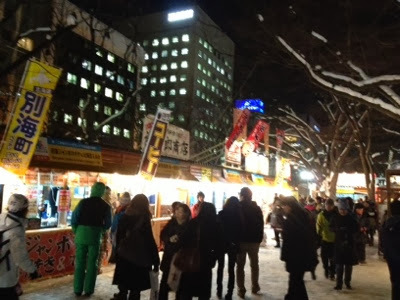 Plenty of food-stands to keep everyone's stomach full whilst watching bands and illumination show with snow sculptures in the background. 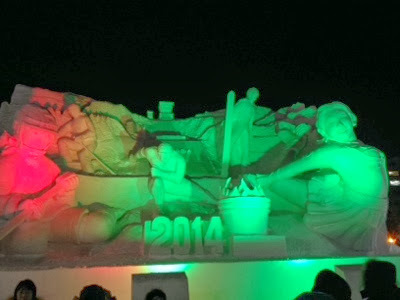 I really liked the big Sochi sculpture of the current Winter Olympics. 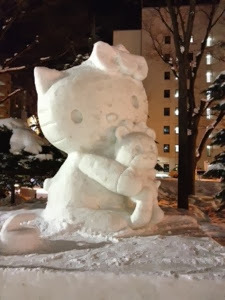 I've been eagerly anticipating this post. 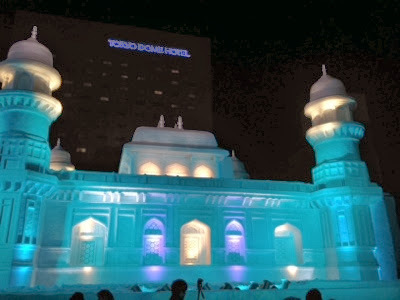 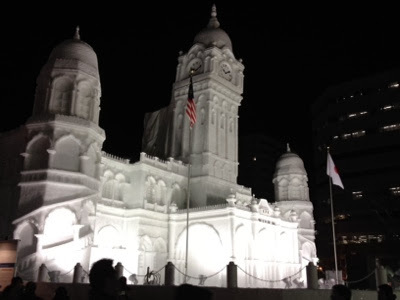 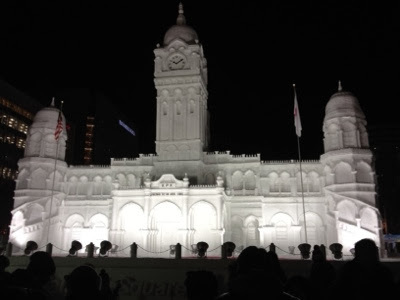 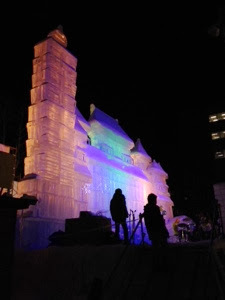 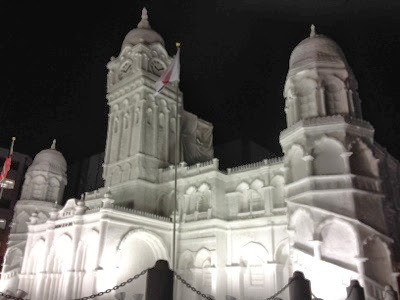 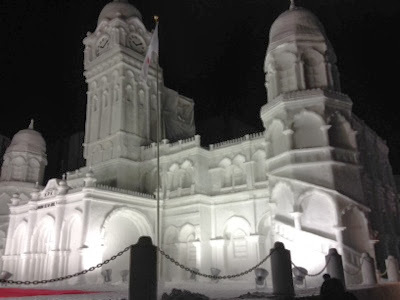 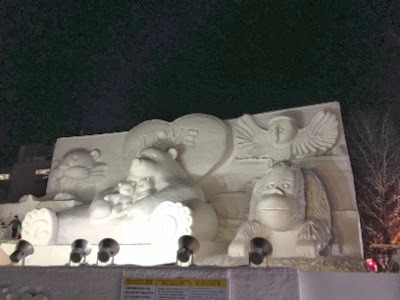 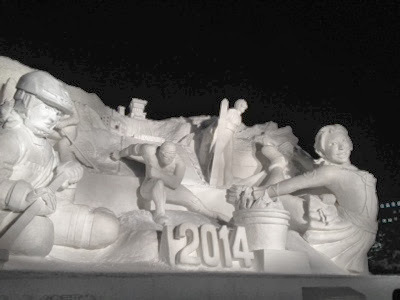 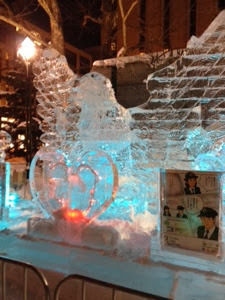 I really enjoyed viewing these pictures of the Sapporo Snow Festival. 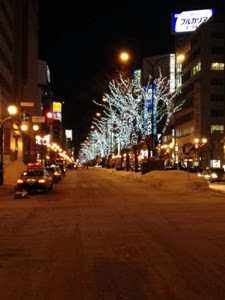 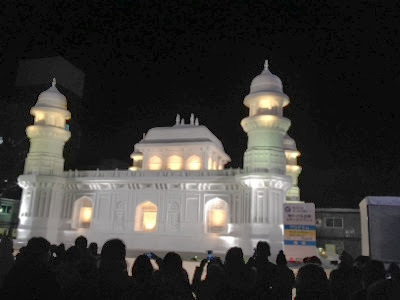 The illumination looks to be very well done. 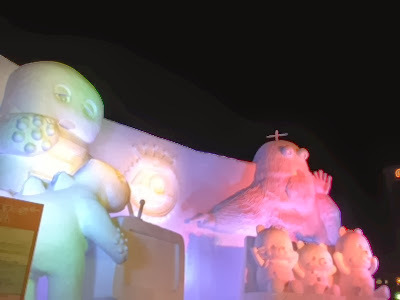 I just wished there were pictures of the food stands (and food!) 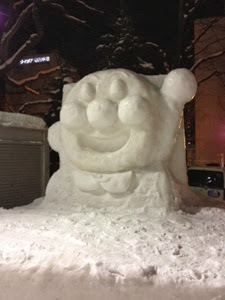 but please don't view that as a complaint.